Plant Island is ideal for displaying plants in deeper areas of the pond or where there are no plant shelves. 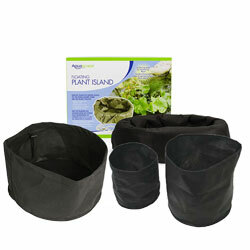 The floating planter keeps the soil intact and lets water in while protecting plants from fish. Keeps soil intact while letting in water. Constructed to stay afloat at surface of the pond.